When you create a new button, Proloquo2Go uses the text you enter to suggest symbols. In most cases, this is pretty straightforward. But in some cases, you might need to choose a different symbol than what is automatically suggested. Maybe you’ve written a long sentence. Maybe you’ve already used the suggested symbols for other buttons, and need something unique. But there were also a few topics without the right symbols for all situations. Choices were too limited for gender identification and relationships, as well as medical terms related to injury, abuse, and neglect. 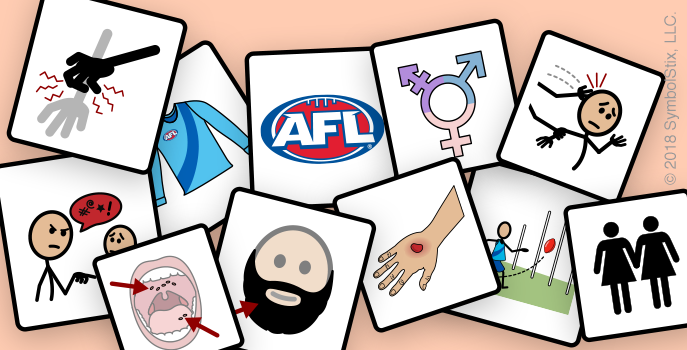 Some of our Australian users also contacted us to add symbols related to Australian football. We’ve added a button which takes you directly to the symbol list, and we’ve made the Search bar for this section more easily visible. We also responded to user requests for new symbols in a wide variety of categories. These symbols won't be automatically added as buttons to your vocabulary, but you'll see them if you're creating a new button or searching through the symbol library. Thanks to SymbolStix for helping us fill this need in Proloquo2Go! Of all the features we’ve added to Proloquo2Go, the Search function has been one of the most popular. But we’d gotten word that Search didn’t always work as you expected. For example, users often search for past tenses of a verb, like “came”, and weren’t able to see any matches. The search function also didn’t pick up on folder names. Finally, in languages like Dutch, where compound nouns without spaces between words are common, Search wasn’t able to pick up on words with other letters before them. Proloquo2Go 6 includes fixes to these Search issues. Now, you can search through all of the different forms of a word. We now also include folder names which match your search. And finally, it will be a lot easier to search for all instances of words, even when they are in compound nouns. 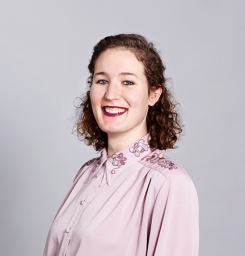 Tara is a part of the Communications Team, and has a background in UX Copywriting and translations. She spends her free time dancing, drawing and doing yoga.